Looking for local products & services? Why should your Business Invest in SEO? SEO refers to Search Engine Optimization. “It is the process of getting traffic from the “free,” “organic,” “editorial” or “natural” search results on search engines.” – Search Engine Land. In other words, SEO leads your potential customers to your website through organic search engine results. In a report from Internet Live Stats, Google alone has 40,000 search queries every second and 3.5 billion searches per day. By typing the right keywords, SEO will automatically give the most relevant websites that a user is looking for. SEO targets people who are eager in looking for particular products and services – this refers to your potential customers. As long as you follow the certain methodologies and strategies, your business will surely gain online visibility and brand recognition. Investing in SEO helps your business gain credibility and trust among your customers. If your website always appears on the first page of the search results, it gives the impression that your business is trustworthy and reliable. If your website appears on the first page, it means that you get high ranking search results – mainly due to your credibility. With this, your business will develop and progress without the need for investing a huge amount of money in advertising or marketing. The traditional form of advertising in newspapers, radio, TV, and the like only runs for a short period of time. Not to mention that it involves a large amount of investment. Businesses need to make continuous campaigns that last for a long period of time if they want to leave a “mark” on their target audience. With SEO, you will not need to invest a large amount in advertising. Your website can continue to be on top and will always appear in the search results as long you stay connected on your campaign with the help of SEO. SEO serves as your digital calling card. Almost all transactions now happen online and your business ought to follow the trend. Your website can gain positive impression and multiply your impact massively for the SEO will let your website be viewed by millions of potential clients and prospects. It works to ensure that your website is visible to the right audience and that it appears on a vast number of users. With this, your digital calling card gets qualified leads which can be converted into sales. There are millions of websites around the globe and it’s not that easy to obtain brand recognition. There are processes needed. An SEO will help your business achieve something beyond the boundaries. It can let you acquire thousands of visitors each day and it can help you convert them into valuable customers. In order to achieve maximum results, you need to have good content marketing. This will help your business grow faster and take it to the next level. 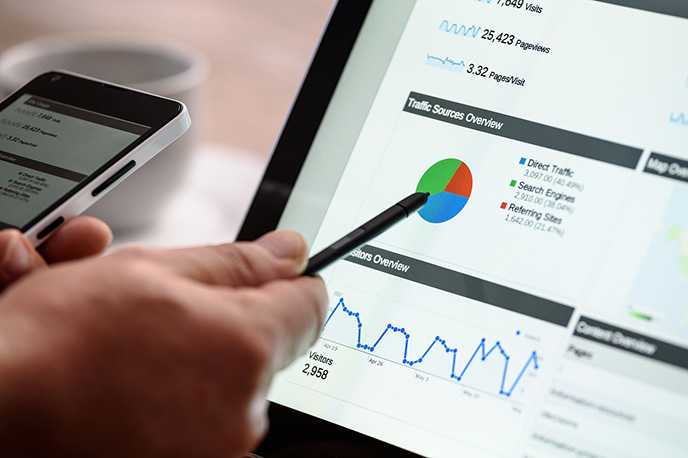 If you invest in SEO, you can have all the important and delightful data that your potential customers are looking for. Once you are able to determine what the users are searching for online, this can be one of your inspirations in coming up with new product lines. Having customers data can help you get the competitive edge you need. SEO is significant in increasing the visibility of your website. With optimization efforts, your business can become more visible across various channels on the internet. Through SEO, you can easily gain visitors to your site and attract more customers. Your business will become more promising and your path towards success is assured. PampangaDirectory.com aims to enhance and boost the online presence of local businesses by providing a dependable and trustworthy online platform and services that will optimally help every local business grow. © Copyright 2019. PampangaDirectory.com - All rights reserved. Powered & managed by TrendMedia Inc.